Sure, we all know about Westfield Southcenter and The Museum of Flight, but there’s a lot more to see and do (and eat) off the beaten path in Seattle’s Backyard. Here’s a list of Seattle Southside’s top 10 hidden gems. The Marine Science and Technology Center in Redondo is home to over 250 aquatic species native to Puget Sound. The next-door neighbor of Salty’s at Redondo (don’t worry, none of the MaST Center residents will end up in your dinner) is an educational aquatic paradise. Every Saturday, MaST Center opens up to the public free of charge, giving families the opportunity to walk under their 38-foot Gray Whale skeleton, learn about the sea creatures and touch a few in one of their two huge touch tanks. 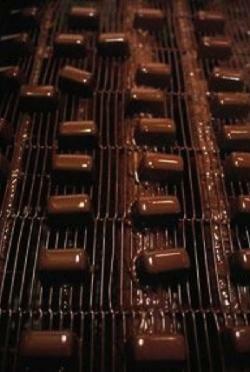 Nestled back along Andover Park W, in Tukwila, sits the scrumptious home of Seattle Chocolates. The factory has been there for many years now, but just recently, they opened the factory up to the public for delicious tours! The tour includes a behind-the-scenes look at the chocolate making process, as well as an education on the sourcing of the cocoa. Of course, you also get plenty of delicious, high-quality chocolate samples, including a chocolate shot! 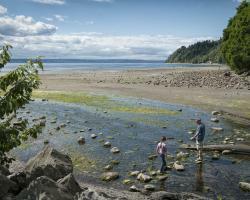 The natural diamond of B-town, Burien’s Seahurst Park is a favorite of locals and visitors alike. Take a drive through the natural tunnel of trees along Seahurst Park Road until the forest opens to a panoramic view of Puget Sound and the northernmost point of Vashon Island. There’s plenty of walking room along the beach, a playground for the kids, wildlife viewing (look out for the great blue heron! ), and you can catch a glimpse of the Fauntleroy ferry shuttling passengers to Vashon. Authentic, gourmet Italian food in a strip mall? You bet. The first restaurant on the list offers some must-try dishes for pasta/pizza lovers. Sitting in a corner along Southcenter Parkway, right next to the Men’s Wearhouse, you’ve probably driven by this one many times and didn’t even realize it. Step through the front door and enter what feels like a romantic dinner setting in Florence. How’d they capture the essence of Italy so magnificently you ask? Since 1991, the owners have been taking their entire staff to different cities in Italy to experience the food, flavors and vibe of country, then take what they learn back to Grazie for all of us to enjoy! What started as a top notch, high-intensity laser tag experience has evolved into so much more. I swear, this place gets a new attraction/experience every other month (at least it seems like they do…)! They still have the technologically advanced laser tag; in addition, they have virtual reality, nerf battles, zombie war, drone racing, wood fired pizza, arcade games, a microbrew bar and just recently, mini golf! There’s so much fun to be had here, you could spend all day trying it all! Why does an Ethiopian restaurant have the name “Star Coffee?” Try one of their espressos made from imported Ethiopian coffee beans and you’ll have a pretty good idea. It’s some powerful (and delicious) stuff! Combine the lattes, mochas, and drip coffees with their authentic Ethiopian dishes and you’ve got a winning combination. Rip off a piece of injera and dig in! Not to be confused with the cartoon, SeaTac’s Bob’s Burgers is a uniquely tasty American/Japanese fusion hole-in-the-wall restaurant. You read that right…teriyaki, bacon burgers, yakisoba, crinkle cut fries, fried rice and milkshakes! They do both and they do’em right. Stop by for some Mongolian beef and gyoza, or a mushroom burger with a butterscotch shake! 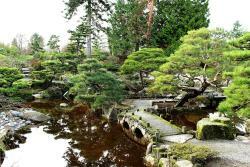 Enjoy a peaceful walk through the landscaped botanical gardens in SeaTac. Who knew such a place like this could be so close to the airport? This is one of those attractions that visitors to Seattle Southside always fall in love with…once they know it exists. The paradise garden is full of life and brilliant colors of dazzling flowers. Stroll down the hill to the Seike Japanese Garden for a moment of Zen and a picture or two for Instagram. I almost forgot to mention some key information about the gardens…the experience is totally FREE! Often referred to as the quintessential “hidden gem” of Seattle Southside, we couldn’t leave this one off the list. Whether you’re looking for some space to lay out in the sun, catch the fresh Puget Sound breeze, or hunt for shells at low tide; there’s just so much to love about Des Moines Beach Park. Plus, you can stroll to the edge of the pier to get some great views of Vashon Island or take the Des Moines Creek Trail for some exercise through the lush, green forest.